An horrific opening that you hope is going to be someone’s nightmare because the alternative is so unthinkable, and your heart breaks for this family you don’t even know, because it isn’t a nightmare and no-one is going to waken up. When state trooper Ryan DeMarco is called in to investigate this horrendous scene and try to make sense of it, he finds it difficult to believe that Thomas Hudson, husband and father of the victims, could have possibly done this. DeMarco had assisted Hudson with some factual details of his work to help him write his books in the past. DeMarco, to be honest, did have quite a bit of author hero worship going on, not that he would let it interfere with his investigation. A hunt was on to urgently find Hudson especially since reports were coming in to say he had been seen with what some thought was rather a large knife. 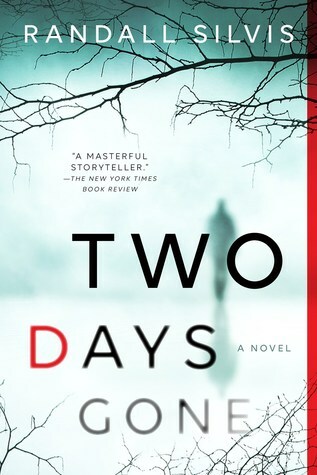 Hudson takes to the woods and Randall Silvis is so wonderfully descriptive with his writing that not only can you imagine the scene you can also feel it. When he describes the coldness of living rough in the woods, you reach for a cardigan or snuggle further down in bed, but you can not get warm because the words won’t let you. It was very fascinating to witness how Hudson dealt with all of this mentally, it was so cleverly written that I hadn’t read anything like this before. I really took to DeMarco, a man that goes on instinct some of the time and sheer determination to get the job done at others. I just loved the care he had for his wife, that he hadn’t given up on her. I thought that some of these scenes were very touching, his dedication but also the hurt he must of felt. This is a cracking novel in so many ways, one of the rare books that I shall read again in the future. I hope that it may be a series, time will tell. There are scenes of violence in this novel, some that involve children. A highly recommended book from me. I wish to thank Netgalley, Randall Silvis and Lathea Williams of Source Books for an arc of this novel that I have chosen to review. In late October, the Arctic Express begins to whisper south- eastward across the Canadian plains, driving the surface of Lake Erie into white-tipped breakers that pound the first cold breaths of winter into northwestern Pennsylvania. From now until April, sunny days are few and the spume-strewn beaches of Presque Isle empty but for misanthropic stragglers, summer shops boarded shut, golf courses as still as cemeteries, marinas stripped to their bonework of bare, splintered boards. For the next six months, the air will be gray and pricked with rain or blasted with wind-driven snow. A season of surliness prevails. He knows that on the dozen or so campuses between Erie and Pittsburgh, college students still young enough to envision a happy future will bundle up against the biting chill, but even their youth- ful souls will suffer the effects of this season of gray. By November, they will have grown annoyed with their roommates, exasperated with professors, and will miss home for the first time since September. Home is warm and bright and where the holidays are waiting. But here in Pennsylvania’s farthest northern reach, Lake Wilhelm stretches like a bony finger down a glacier-scoured valley, its waters dark with pine resin, its shores thick on all sides with two thousand acres of trees and brush and hanging vines, dense with damp shadows and nocturnal things, with bear and wildcat and coyote, with hawks that scream in the night. The college students are anxious to go home now, home to Thanksgiving and Christmas and Hanukah, to warmth and love and light. Home to where men so respected and adored do not suddenly butcher their families and escape into the woods. The knowledge that there is a murderer in one’s midst will stagger any community, large or small. But when that murderer is one of your own, when you have trusted the education of your sons and daughters to him, when you have seen his smiling face in every bookstore in town, watched him chatting with Robin Roberts on Good Morning America, felt both pride and envy in his sudden acclaim, now your chest is always heavy and you cannot seem to catch your breath. Maybe you claimed, last spring, that you played high school football with Tom Huston. Maybe you dated him half a lifetime ago, tasted his kiss, felt the heave and tremor of your bodies as you lay in the lush green of the end zone one steamy August night when love was raw and new. Last spring, you were quick to claim an old intimacy with him, so eager to catch some of his sudden, shimmering light. Now you want only to huddle indoors. You sit and stare at the window, confused by your own pale reflection. Now Claire O’Patchen Huston, one of the prettiest women in town, quietly elegant in a way no local woman could ever hope to be, lies on a table in a room at the Pennsylvania State Police forensics lab in Erie. There is the wide gape of a slash across her throat, an obscene slit that runs from the edge of her jawline to the opposite clavicle. And little David Ryan Huston, asleep on his back in his crib— what dreams danced through his toddler’s brain in its last quivers of sentience? Did his father first pause to listen to the susurrus breath? Did he calm himself with its sibilance? The blade on its initial thrust missed the toddler’s heart and slid along the still-soft sternum. The second thrust found the pulsing muscle and nearly sliced it in half. The perfect family. The perfect house. The perfect life. All gone now. Snap your fingers five times, that’s how long it took. Five soft taps on the door. Five steel-edged scrapes across the tender flesh of night. Hi I am so pleased that you are liking my blog. I am still quite new to all this as I started last May.